Dr. Jacob Janecek grew up in Linton, North Dakota. He graduated with honors from University of Jamestown in Jamestown, North Dakota with a Bachelor of Science Degree in Biology in 1998. He attended Pacific University of Optometry in Forest Grove, Oregon and graduated with distinction earning a Doctor of Optometry degree in 2002. Dr. Kenny Lee was born in Seoul, Korea and has lived near the Beaverton/Aloha area since he was 5 years old. After graduating from Aloha High School, he attended Pacific University for both of his undergraduate and graduate studies. He graduated in 1998 with a Bachelor of Science degree and Doctor of Optometry in 2002. 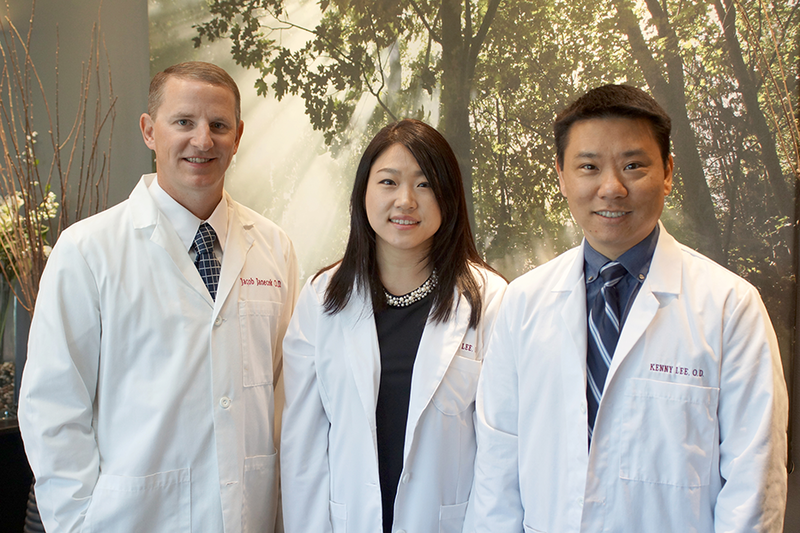 Ji Hyun Lydia Lee O.D. Ji Hyun Lydia Lee, O.D. became a part of the Sunset Eye family in 2013 as an associate optometrist. Dr. Lydia received her Doctor of Optometry degree from Pacific University in Forest Grove, Oregon in 2012. She then completed her residency program in Primary Eye Care and Low Vision Rehabilitation at the Minneapolis Veterans Affairs hospital in 2013. She enjoys being an optometrist and provides her patients with full scope of optometric care.